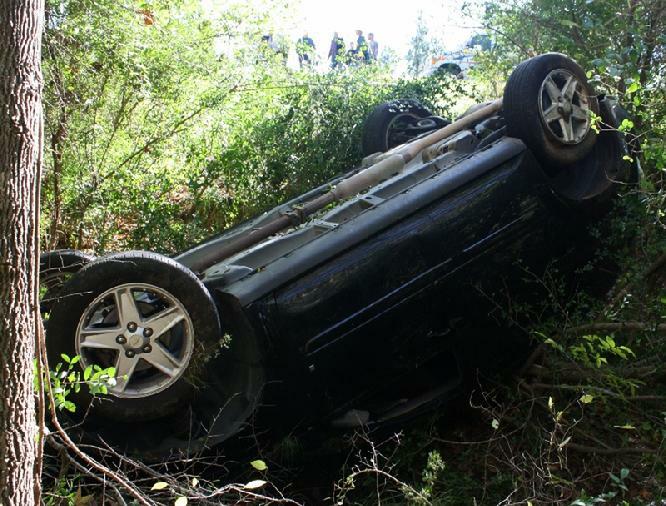 18 year old Macyann Sourdellia of Nederland, rolled her 2005 Chevy Equionx into Choates Creek off US-190 East. 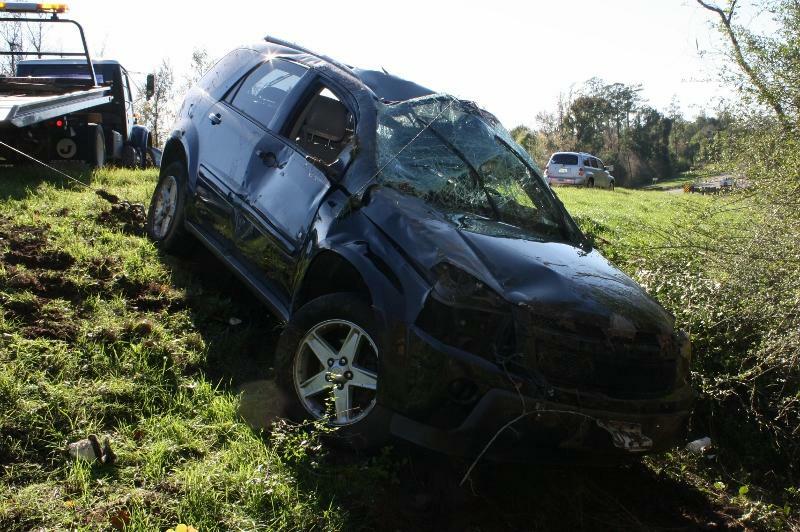 Vehicle Rolls Down Embankment Into Choates Creek, LIVINGSTON, November 27, 2011 - At approximately 1:21 pm on November 27, 2011, a black 2005 Chevy Equinox driven by Macyanne Sourdellia, 18, of Nederland, was west bound on US-190 East near Choates Creek. As Sourdellia topped a hill she apparently realized that she was coming too fast as she noticed that traffic had slowed down. 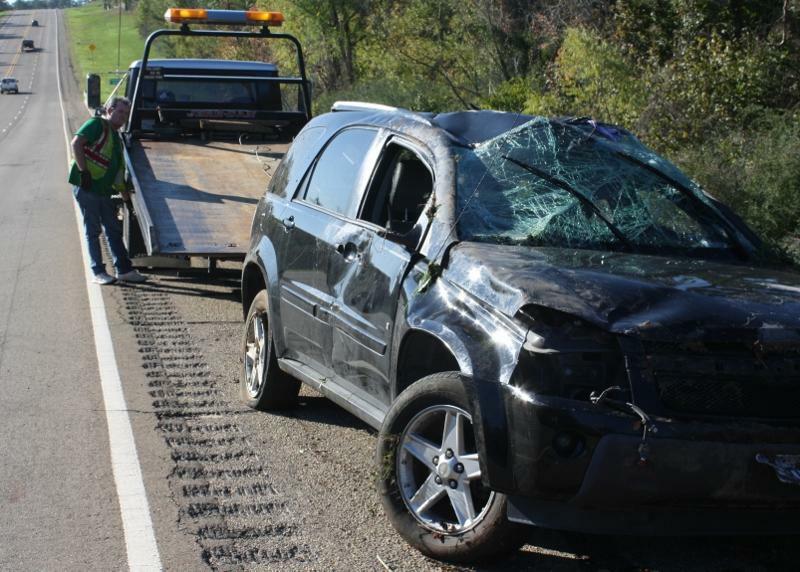 According to witnesses, Sourdellia began braking and in an effort to avoid hitting the other vehicles, she steered her vehicle off the road to the right. 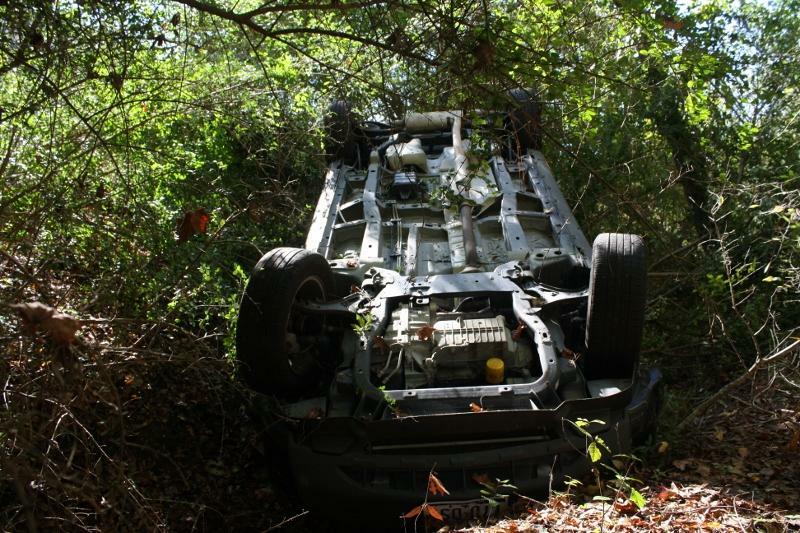 Sourdellia lost control of her vehicle, rolled down the embankment and came to rest upside down in Choates Creek. Americare Ambulance Service was dispatched to the scene along with Sergeant Rob Thomas with the Polk County Sheriff's Office and Trooper Donny Akers with the Texas Highway Patrol. EMS personnel from Americare and other good samaritans helped Sourdellia from her vehicle. She appeared to escape serious injuries. 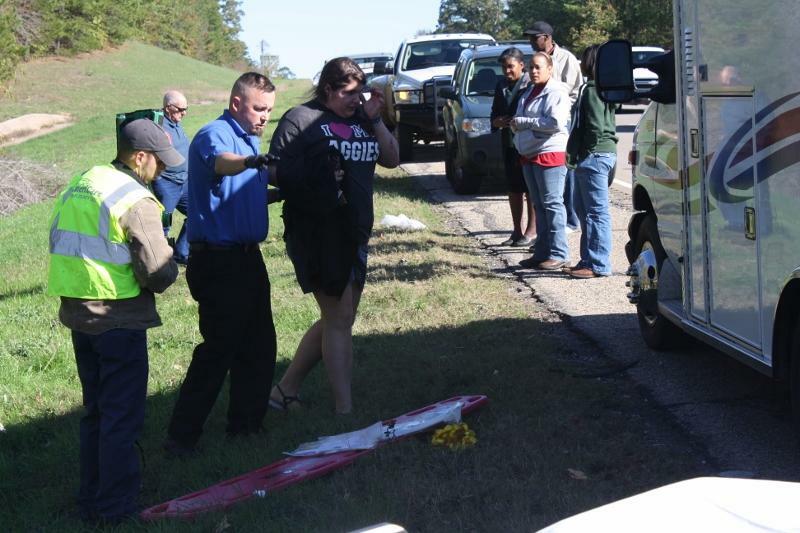 Sourdellia was loaded onto an Ambulance and transported to Livingston Memorial Hospital. Traffic in the west bound lanes was partially blocked during investigation and cleanup. A rollback wrecker from Fawbush Wrecker Service recovered Soudellia's vehicle and it will be stored in Goodrich. According to Trooper Akers, no citations were issued. Sourdellia is assisted by Medical Professionals from Americare Ambulance Service. Amazingly she sustained no major injuries. 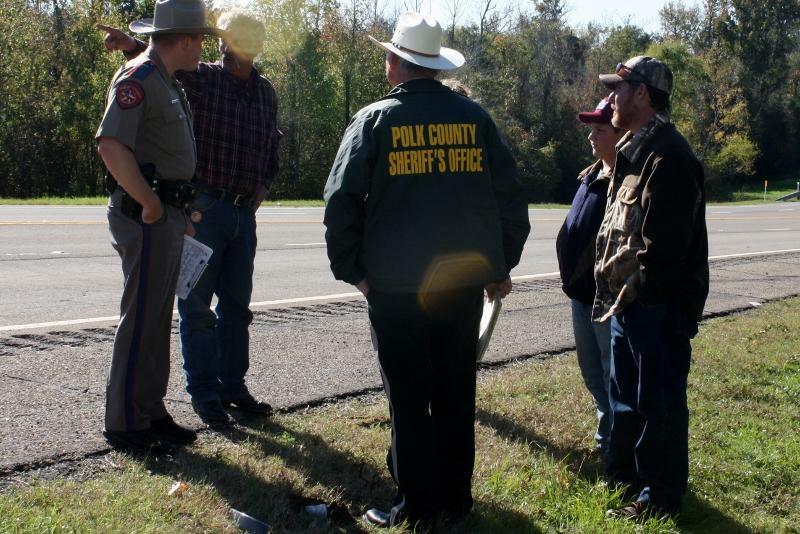 Trooper Donny Akers (left) and Sergeant Rob Thomas with the Polk County Sheriff's Office listen to eyewitness accounts of the accident. Gary with Fawbush Wrecker Service recovered Sourdellia's vehicle.